Liz Diller faced down a hostile crowd at the recent “MoMA Expansion Conversation,” hosted by the Architectural League, the Municipal Art Society, and AIA New York. Apparently she’s had some practice. One elder statesman of the New York architecture community reports that Diller made a series of phone calls to prominent architects prior to the public release of MoMA’s plans asking for their advice and support. This gray eminence apparently told her the firm should resign from the commission. At which point Ric Scofidio apparently chimed in, saying, succinctly, “Never!” An editor from another publication reports rumors of dissent within Diller Scofidio + Renfro. Apparently some associates in the firm have asked not to work on the project, fearing a Scarlet Letter on their resumes. Nearly 650 people crowded the auditorium at the Society for Ethical Culture on Manhattan's Upper West Side on Tuesday to debate MoMA's expansion plans, which include the demolition of the Tod Williams Billie Tsien–designed American Folk Art Museum (AFAM) building. 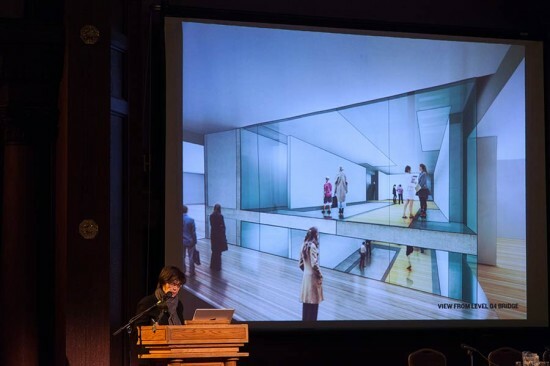 Organized by the Architectural League of New York, the Municipal Art Society, and the AIA New York Chapter, the event was packed with prominent members of the design community. MoMA Director Glen Lowry and chief curator of painting and sculpture Ann Temkin spoke of the Museum's growing collection and their need to show art from the "immediate past," the 20th Century, alongside art from the present, and cited large recent acquisitions like the Fluxus and Frank Lloyd Write collections. Liz Diller of Diller Scofidio + Renfro gave an earnest presentation, repeating her firm's desire and lengthy investigations to save the Folk Art building, calling Williams and Tsien "admired colleagues." Rectifying the alignment of the floors of AFAM with MoMA and creating easy circulation between buildings proved impossible, she said, without destroying the "integrity" of the AFAM building. Cranbrook Academy director Reed Kroloff then led a panel discussion on the expansion plans. Former New York Times architecture critic Nicolai Ouroussoff dismissed the architectural merits of the AFAM building, calling it flawed, and comparing it to Edward Durrell Stone's Two Columbus Circle. Cathleen McGuigan, editor-in-chief of Architectural Record, called the building important and urged the Modern to move more slowly with their demolition plans. Columbia preservation professor Jorge Otero-Pailos said the problem called for a rethinking of what preservation means and about the particular qualities of the AFAM building (some of his work involves the senses, and he praised the "olfactory quality" of the AFAM building, while saying MoMA had "an airport smell"). 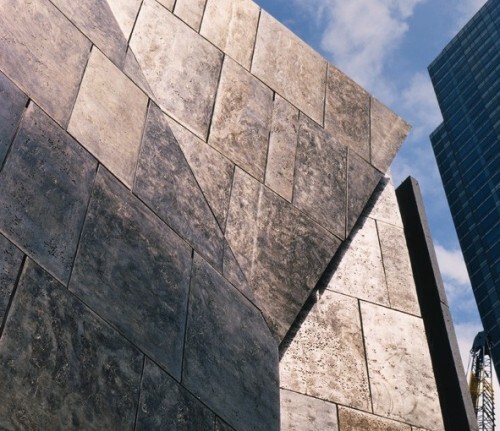 Architectural consultant and writer Karen Stein questioned Diller's assertion that circulation should be a defining feature of the project, and argued that MoMA had an obligation to the discipline of architecture to save the Williams Tsien building or some piece of it. Architect Stephen Rustow, who worked for KPF on the Taniguchi MoMA expansion, praised Diller, Scofidio + Renfro for addressing MoMA's programmatic goals, but questioned if the institution had framed those goals too narrowly, thereby eliminating any possibility of saving the AFAM building. Simultaneous to the action in the auditorium, an equally lively debate was happening on social media, with competing twitter hashtags, #MoMAConvo (promoted by the Modern) and #folkmoma (initiated by activists trying to save the AFAM structure). Several people on twitter questioned if the event was a forum or a wake. Following the discussion, Lowry, Temkin, and Diller returned to the stage, and it became clear that the building's fate is set. "Our decision has been made," Lowry said. Responding to a question about the value of architecture versus art, Lowry underscored his point. "We don't collect buildings." 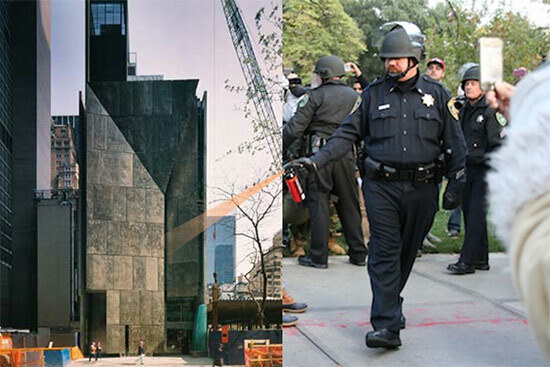 In response to the American Folk Art Museum building decision by MoMA January 8, 2014 We have learned of MoMA’s final decision to raze the former American Folk Art Museum building and replace it with a new structure. This action represents a missed opportunity to find new life and purpose for a building that is meaningful to so many. The Folk Art building was designed to respond to the fabric of the neighborhood and create a building that felt both appropriate and yet also extraordinary. Demolishing this human‐scaled, uniquely crafted building is a loss to the city of New York in terms of respecting the size, diversity and texture of buildings in a midtown neighborhood that is at risk of becoming increasingly homogenized. This is a building that we and others teach from and about. It has served as an invaluable learning resource for students, colleagues and scholars, and a source of inspiration for many more. It has a powerful architectural legacy. The inability to experience the building firsthand and to appreciate its meaning from an historical perspective will be profoundly felt. As architects, we must be optimists. So we look to the future and we move on. Petitions and Design Ideas Sprout to Save Folk Art Museum Building. 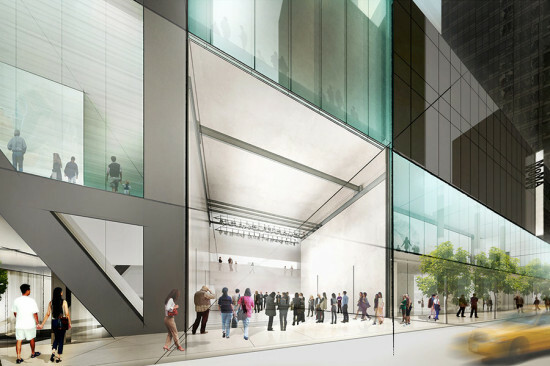 As the chorus of criticism swells against MoMA's plan to demolish the former home of the American Folk Art Museum, designed by Tod Williams and Billie Tsien, a pair of petitions have been posted urging the Modern to reconsider its demolition plans. Also, a crowd-sourced tumblr, #FolkMoMA, is soliciting ideas for reuse of Williams and Tsien's building. With all the action online, will anyone be taking to the streets for some old fashioned picketing? Will anyone chain themselves to the bronze facade? Has all this worry actually left the bubble of the architecture community? Design Trust for Public Space has announced the appointment of Susan Chin as the new Executive Director, effective October 10. Chin has served as Assistant Commissioner for Capital Projects for the New York City Department of Cultural Affairs for over twenty years. John Henderson has been appointed Managing Director at Morris Adjmi Architects. Henderson was previously studio director at Clodagh Design in Manhattan. Prior to this position, he was associate principal at STUDIOS Architecture in New York and D.C. Material ConneXion and its sister company, Culture & Commerce, both part of Sandow Media Corporation, have announced the appointment of Susan Towers to the position of VP Marketing & Communications. Towers was previously a partner at NICE Partners and has held marketing and PR roles with Kiehl’s since 1851 and Chandelier Towers, among others. The New York City Department of Buildings has appointed Fred Mosher to the newly created title of Deputy Commissioner of Building Development to streamline the city’s construction process. Previously, Mosher was a senior technical architect at Skidmore Owings & Merill for nine years. The beleaguered American Folk Art Museum, which will continue operations at 2 Lincoln Square, has appointed a new president of the board: Edward V. (Monty) Blanchard, Jr., a member of the museum's board of directors since 2003. Have news on career moves in the architecture & design universe for SHFT+ALT+DEL? Send your tips to people@archpaper.com! 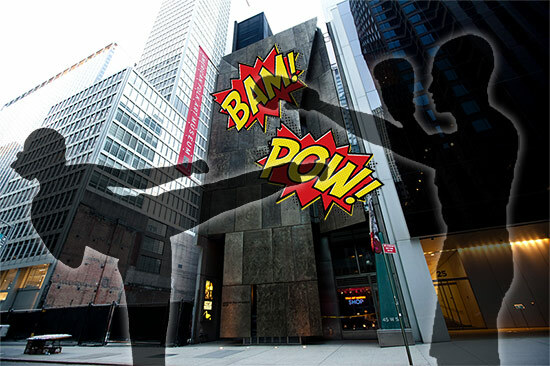 Apparently the art world hates the American Folk Art Museum building! (Who knew?!) 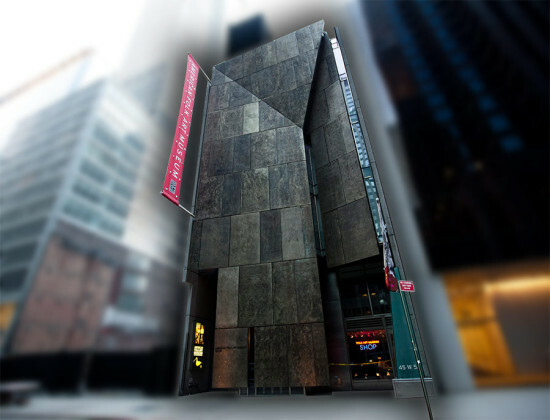 In the wake of the news that MoMA is buying the Todd Williams Billie Tsien-designed building, two of the art world's more prominent voices both bashed the building and argued it hastened the Folk Art Museum's decline. The esteemed Times critic Roberta Smith called it "unwelcoming" and argued that the museum's fate was sealed by "lackluster, visionless leadership; the weak economy; and inappropriate architecture." Smith's husband happens to be Jerry Saltz, the pugnacious art critic for New York, who went much further in a piece titled, "Architecture Killed the American Folk Art Museum." He called the building, "ugly and confining, it was also all but useless for showing art." Not everyone agrees! The ever incisive New York architecture critic Justin Davidson rallied to the building's defense, calling its facade an "alluring exception to the tough sleekness of midtown." He blamed poor fiscal management, not architecture, for the museum's woes. He added that given the building's small lot, which by necessity called for a vertical museum, "the architects didn’t just do the best they could; they did far more than anyone had a right to expect." But what will happen to this complex little building now that MoMA owns it? MoMA remains noncommittal. Late yesterday AN received a statement from Hines, MoMA's development partner for the planned Jean Nouvel tower surrounding the site. "Hines wasn't involved in the transaction, and no, it will not change our plans for the tower. That deal is all MoMA's," wrote Kim Jagger, director of corporate communications for Hines, in an email. So perhaps the building have a new life with the Modern. At this point, only MoMA knows.